I managed to get to Vapnartak this afternoon, but had less than an hour to get round due to the poxed child number 2. Still, I managed to see some mates (albeit very briefly) and pick up some stuff. I was keen to see the Garrison boys doing X Wing, but just a chance to say hello. Hope they managed to convert some people. Some more details. 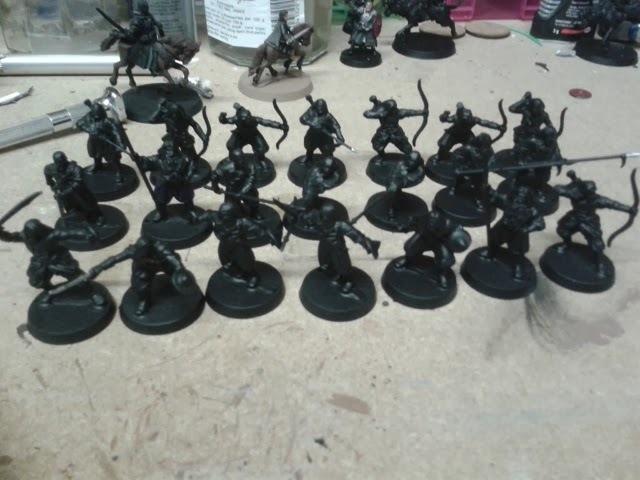 First off more LOTR figures in form of Corsairs, Watchers of Karna and Half Trolls. Thanks to Doug for the "trade", will have to work out my side of the deal soon. 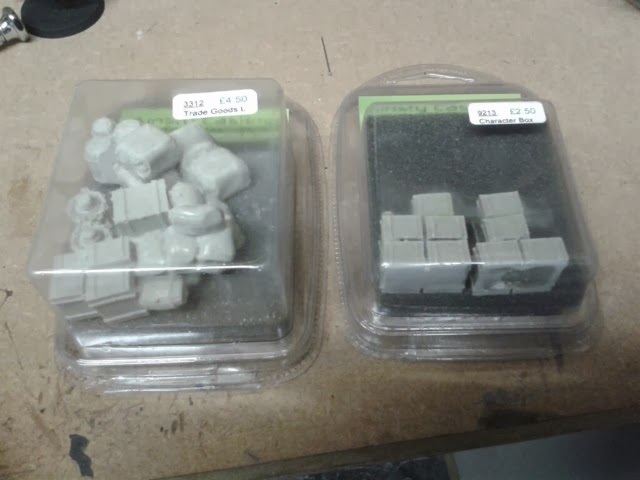 Secondly some 6mm terrain from Irregular miniatures. 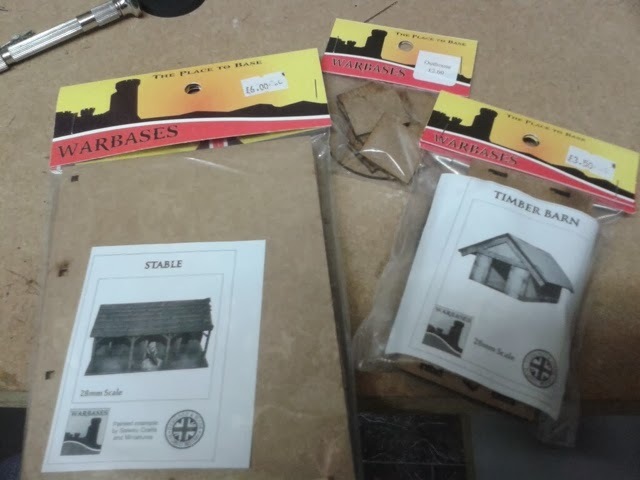 I thought I'd try some Warbases terrain, so I picked the barn, outhouse and stables. I'll do a review at some point. Some boxes and sacks from Ainsty. This is another company I've been looking at for a while. 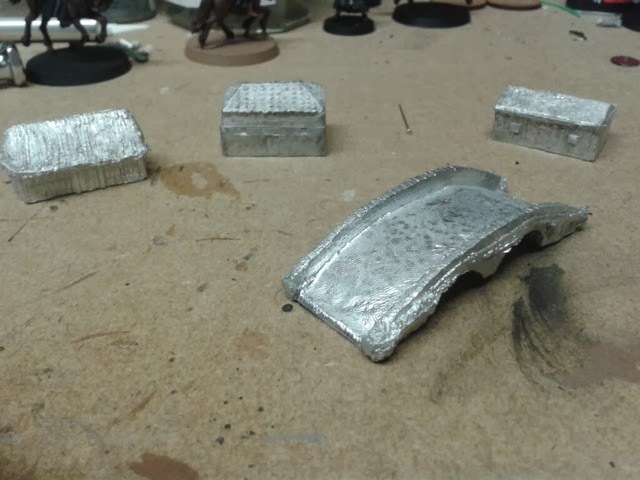 I also picked up an A Wing, some brushes and some dice. The bad news is that with 27 more models bought, February is going to be hard work to stay ahead of the game in the Backlog Reduction Oath. 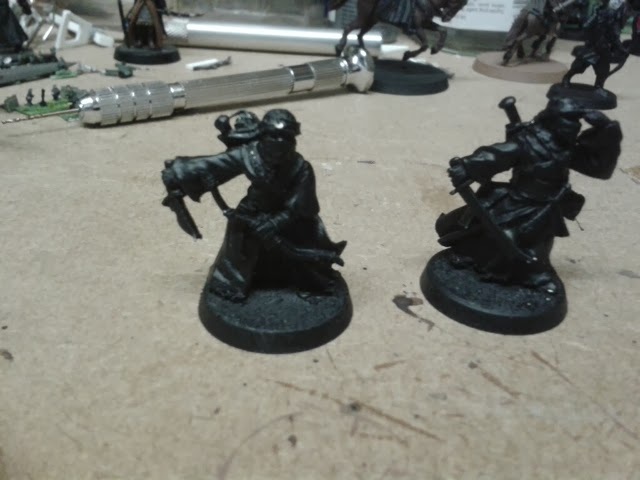 Can I get 28 models done? Maybe if I'm tactical about my choices! 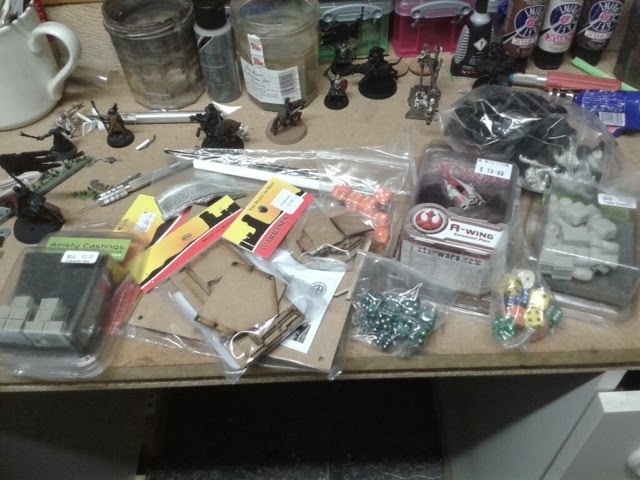 Nice Haul, like the LOTR stuff and those wares from Ainsty look nice too - may to check those out. The Ainsty stuff is really nice. A bit pricey though. 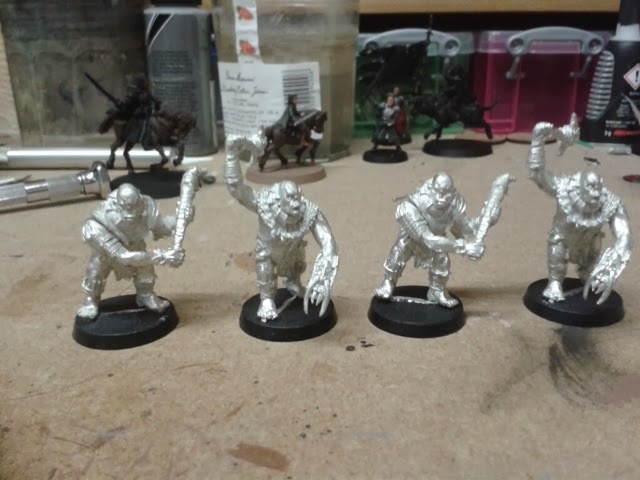 Some of their stuff for pulp and near future games looks excellent.